In a large pan heat up a little olive oil to coat the pan. Add the onions and carrots and sauté for a couple minutes. Add the ground beef and cook until half the beef is browned. Then add the potatoes, cook until the the beef is all browned. Add the water and bring to a boil, then simmer with a lid on for 10 minutes. Turn the heat off, add the kale and the curry roux. Stir until all combined. Turn on the heat to low and simmer the curry until the potatoes are soft, but not mushy. Add the frozen spinach. Bloom the gelatin in water for a few minutes. Then add the gelatin to the curry, mix until combined. Turn off the heat and cool. 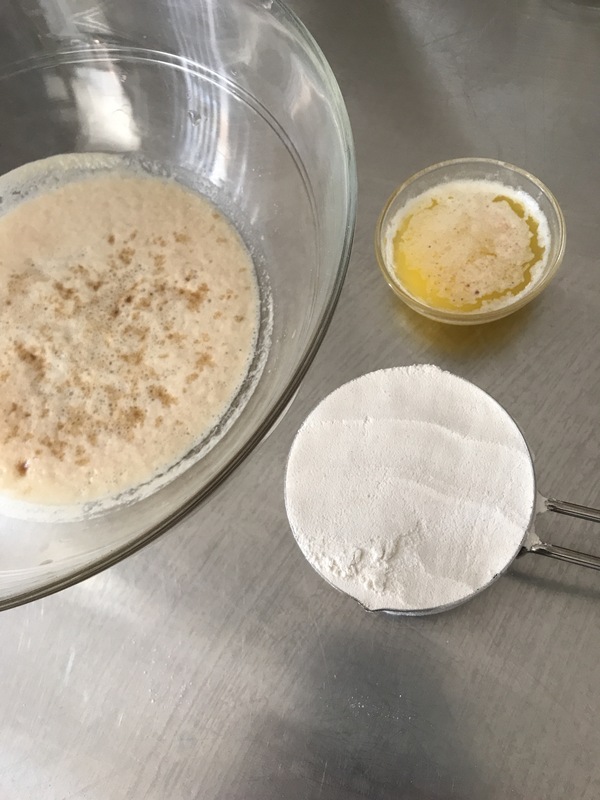 To make the dough activate the yeast in the warm water with the brown sugar and granulated sugar. Let it bloom for 10 minutes. Melt the butter and add the salt. 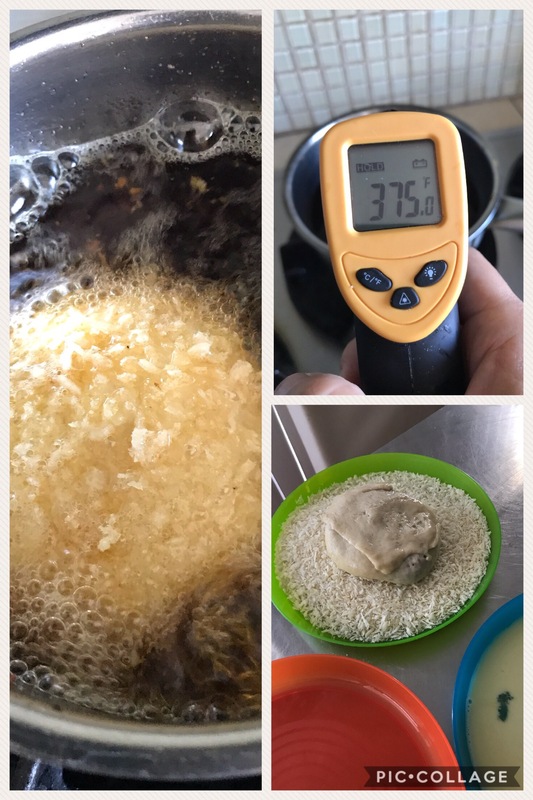 Once the yeast blooms; add the honey, lukewarm milk, and room temperature water. Add the flour and knead the dough in the bowl until it all combines. 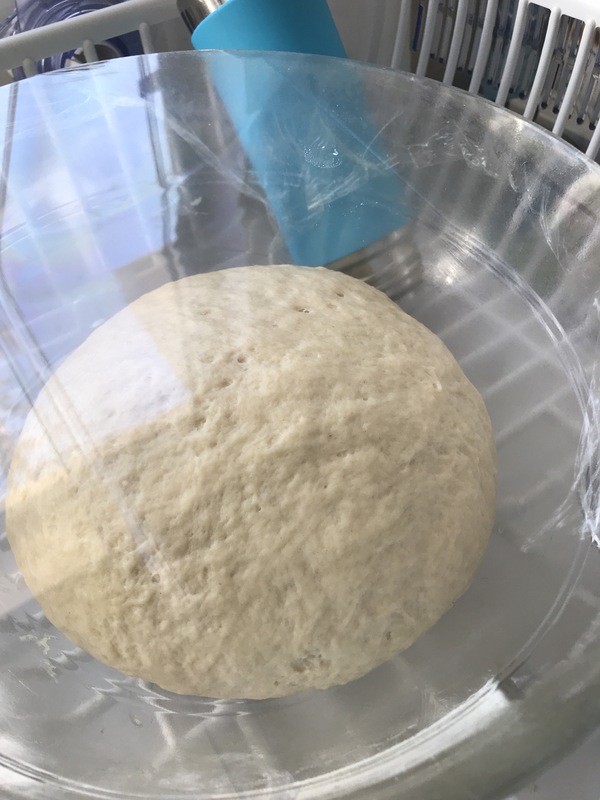 Once combined, plop the dough ball onto a lightly floured surface for 10 minutes to build the gluten. 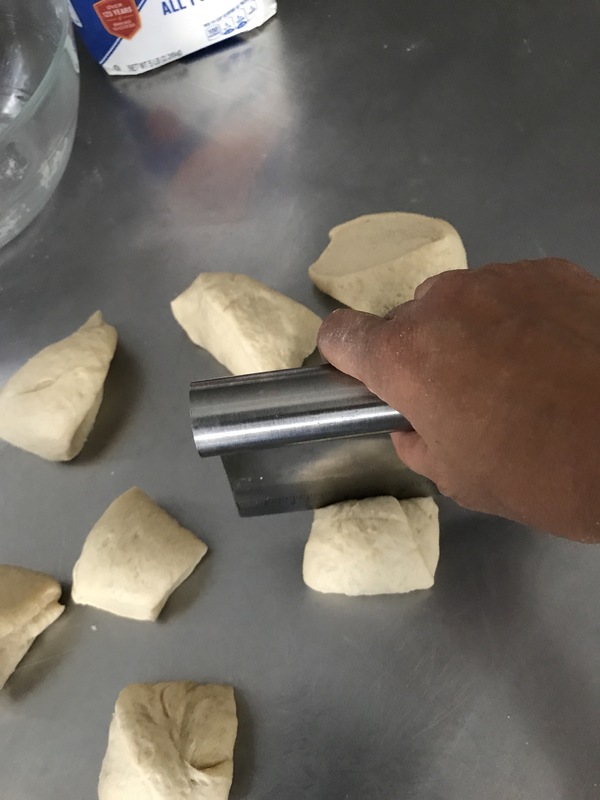 The dough will become less sticky, and smooth to the touch. 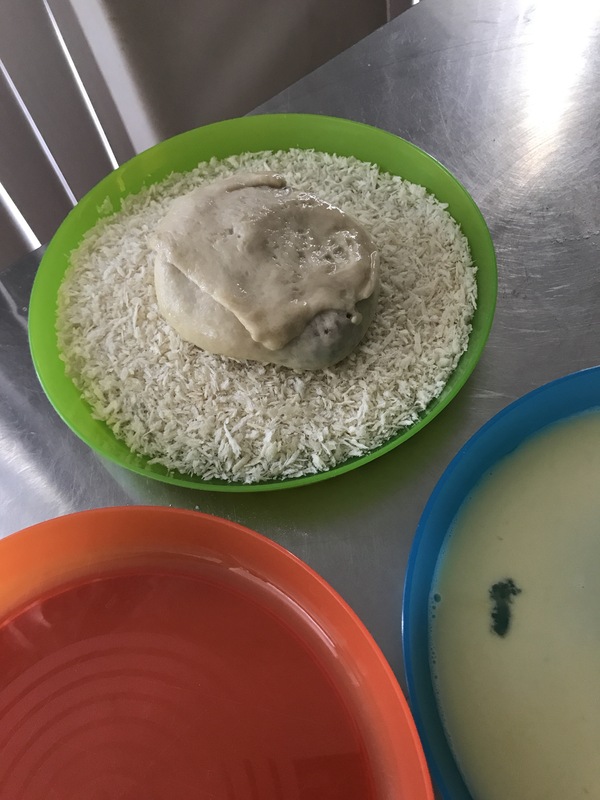 Lightly coat the dough with a little bit of olive oil and place into a bowl, cover with plastic wrap and place in an area without a draft and is warm. Like an oven or microwave oven. Let the dough proof for 90 minutes. Then pinch the dough pieces to close the circle. Place the pinched ends on a flat surface to seal it, let rest for about a minute. Repeat until all 12 dough pieces are stuffed. 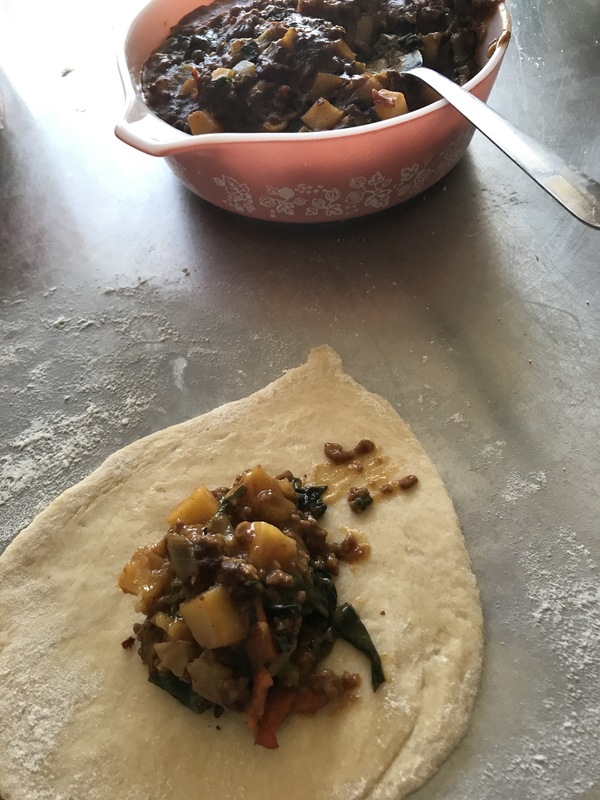 At this time, if you want to make super spicy curry pans, you can sprinkle the ghost chili powder in the dough. 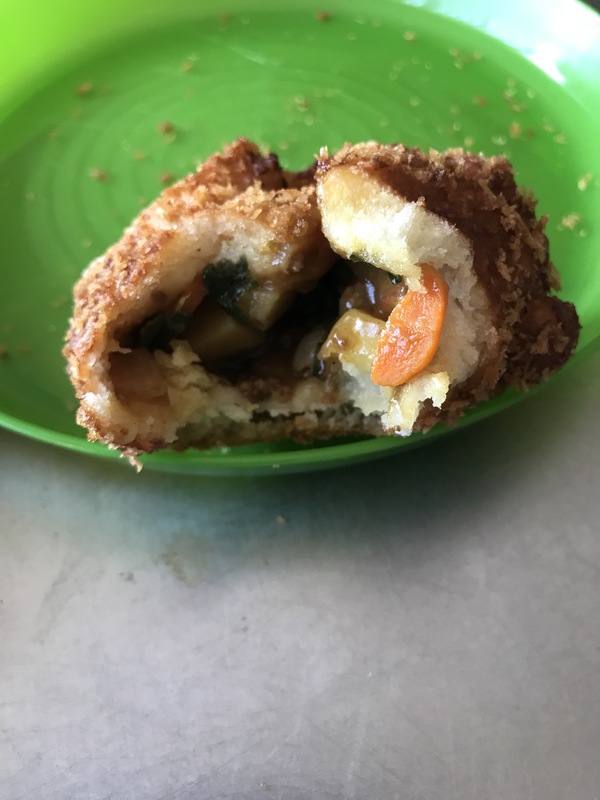 Coat the stuffed curry dough balls with the egg wash, then place the egg washed dough into the panko. Then fry in oil that’s been heated to 375 degrees for 2-3 minutes on each side. I sprinkled on top of the super spicy curry pans with a bit of charcoal powder to differentiate between the regular and spicy. I didn’t want Winter to accidentally eat the wrong ones. *You can substitute or exclude these ingredients to make it friendly for your diet. The House Curry roux contains milk products, so if you want this recipe to be vegan, substitute for curry powder and garam masala. 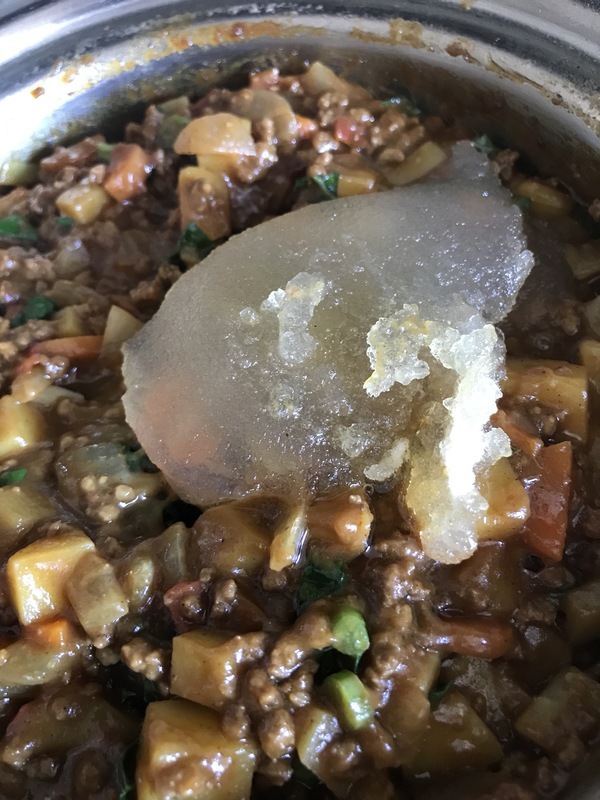 I add the gelatin to help the curry firm up during the cooling process and it’s easier to shape the curry into a ball. 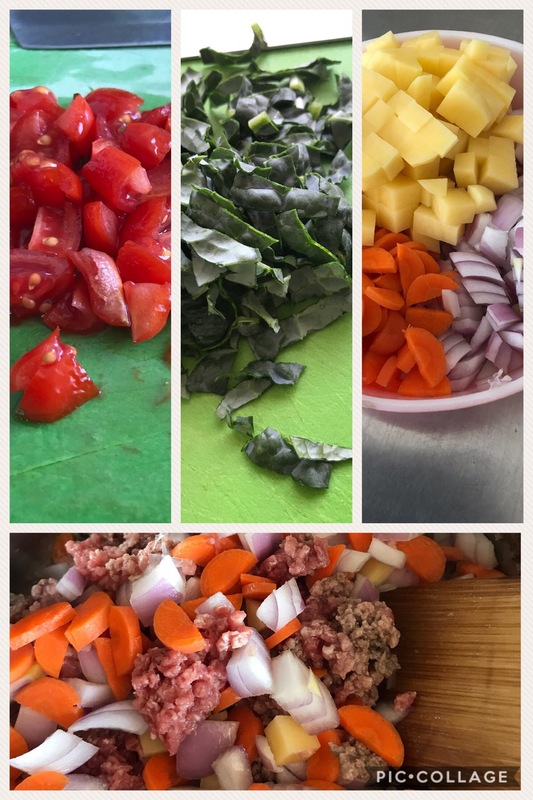 Substitute the meat with whatever you like, ground turkey for a healthier option or diced cauliflower or broccoli for a vegan option. I hope you enjoy making it! It was fun and not as hard as I thought it was going to be. So get your fry on! Last year we went on a road trip during Christmas break, it allowed us to eat some local delicacies. A friend raved about Harris Ranch, she said that it was her favorite steak house. When we planned our road trip, we knew we had to put it on our route. Harris Ranch Inn & Restaurant is a great one-stop tourist spot, it has three restaurants all lined up together. Varying from a casual bar to a proper steakhouse. We are at the mid-level family style restaurant, since we were road tripping we weren’t exactly dressed for the fancy steakhouse and traveling with a baby and toddler, meant weren’t the right company for the bar/lounge area. Winter looking at her Papa to make sure it was safe to eat. 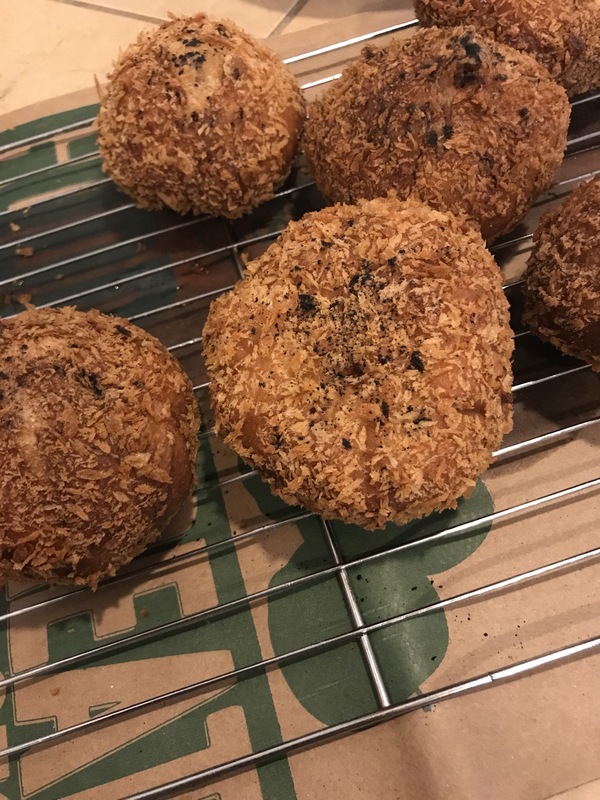 When they arrived, I was expecting a large fried “baseball,” but instead the testicles were cut into slivers and were bite-size for ease of eating. It came with a cocktail-style sauce that didn’t have the horseradish bite. My first taste was filled with excitement and trepidation; would it taste salty? Like sperm (bleach-y)? I couldn’t turn back now, I had to eat it, both my husband and daughter were looking at me for approval. I dipped it into the sauce, and bit into it. The chewiness took me by surprise, it kind of had the texture of a more chewy calamari with a slight briny flavor. It was tasty! If you served this to people without telling them what it was, people would think they were eating fried calamari. Winter took one bite and couldn’t stop eating them. Harris Ranch Inn & Restaurant is the only place I have seen it served, so if you’re ever in the area drop by and have some bull’s balls or for the timid, their steaks are mighty fine too. My obsession of trying to eat new (or strange) foods didn’t start until I was older, probably not until my mid 20’s. I knew that when I had kids I wanted them to “taste-the-world,” so to speak. Granted when I was growing up, we didn’t have that many ethnic grocery stores; my mom would drive an hour from our town to go to the closest Japanese market to buy her essentials for the week. I didn’t try hummus or kim-chi until later in life, more so because it wasn’t readily available in my local grocery store as it is today. 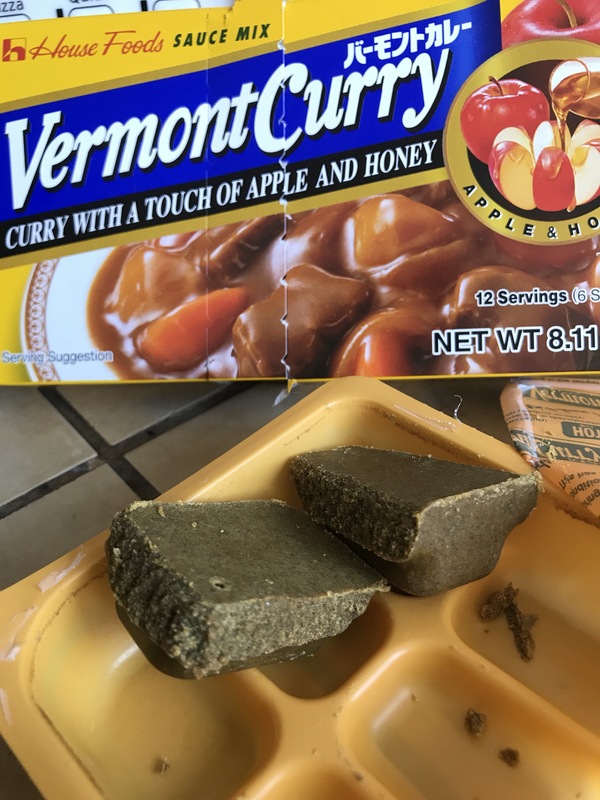 I think my children are fortunate enough to be able to try other countries’ cuisines without having to travel so far, these culinary delights are mere blocks away instead of oceans. I try to expose Winter to as many flavors, so her palette will be indiscriminate, though she’s not a fan of spicy foods…yet. 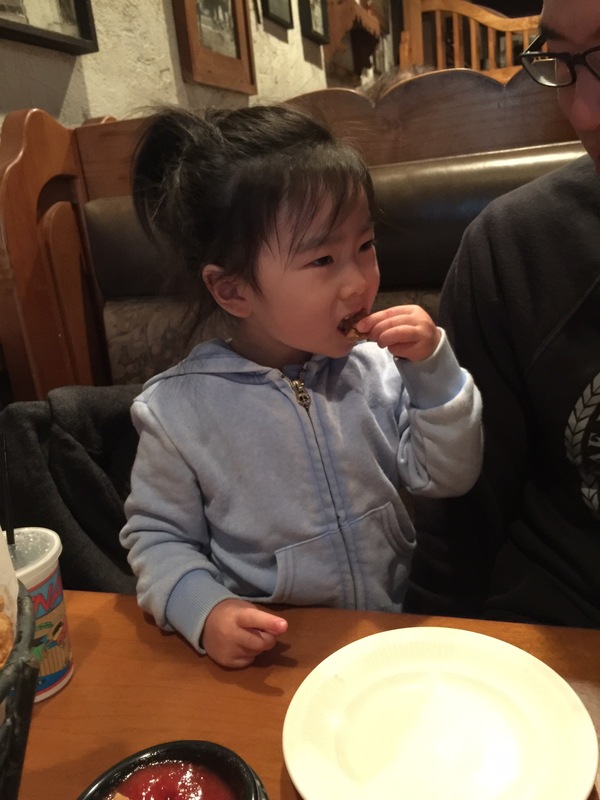 At the tender age of 3, she has tried and eaten more foods than I would have dared to at her age or even in my teens/20’s. I commend her for her fearlessness in her curiosity of all things gastronomic, so I wanted to have a special place in our blog of the “weird” and “strange” eats of Winter-Hinata and hopefully, August-Yoshinari. Winter’s delve in the “strange” eats was when she was a year and a half, and is still her OBSESSION; seriously I can’t say the Japanese word of it without her begging to eat it: Ikura a.k.a. salmon roe. She had her inaugural taste was from an ikura donburi (rice bowl) from her Auntie Yan. It was love at first bite, it was the first food she wanted and called by name. Her eyes light up at the mere mention of it. The bright orange mini spheres filled with tantalizing, salty-umami “poptastic” oceanic delights is her crack. At the first burst of one salmon roe, her tongue danced with a flavor that captured her very soul. Any time we go to a Japanese restaurant she always asks for it. Since then, we have had her try different foods to test her expanse in flavors, textures & colors. She does not disappoint, it’s not always a success, but we are so proud that she at least tries. 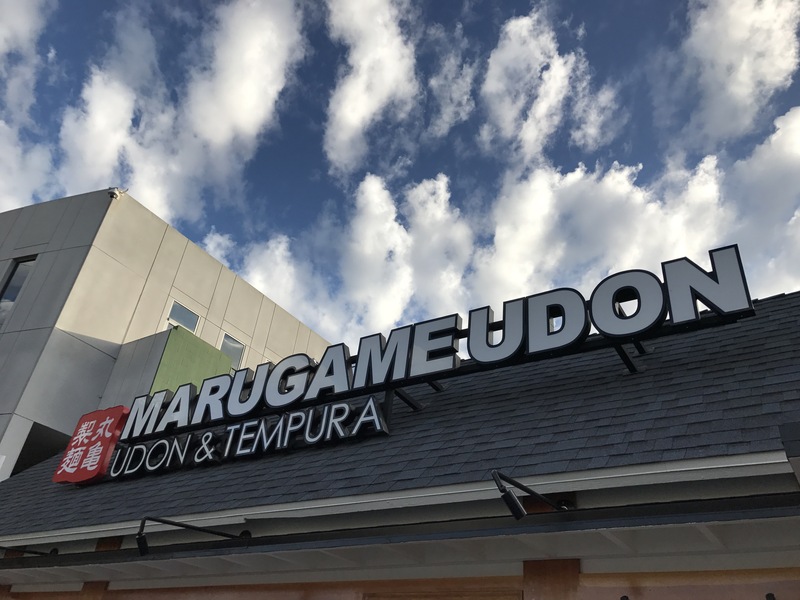 Tonight, we were able to attend the media event for Marugame Udon, a big thank you to WestsideMommy. It is their first location opening in the US; they have 186 stores located in 13 countries and over 770 locations in Japan. 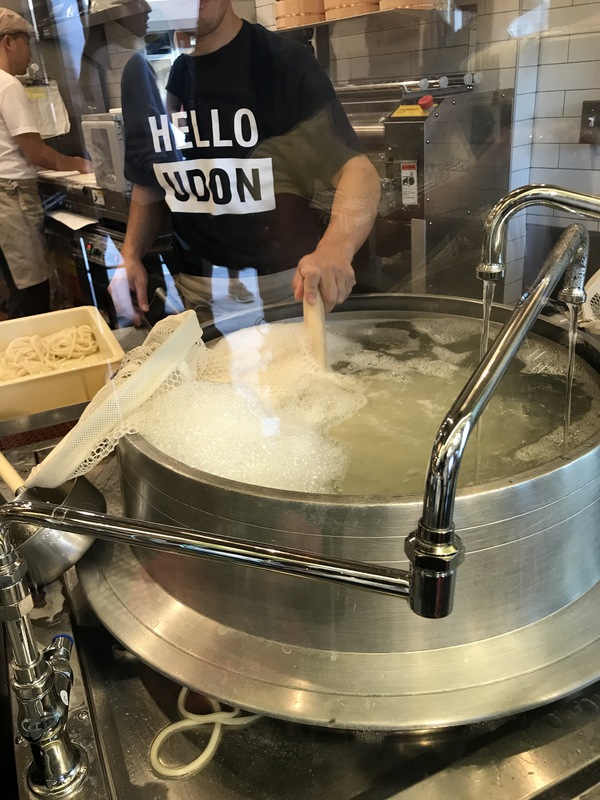 The Sawtelle branch is a cafeteria-style with fresh handmade udon is made-to-order. 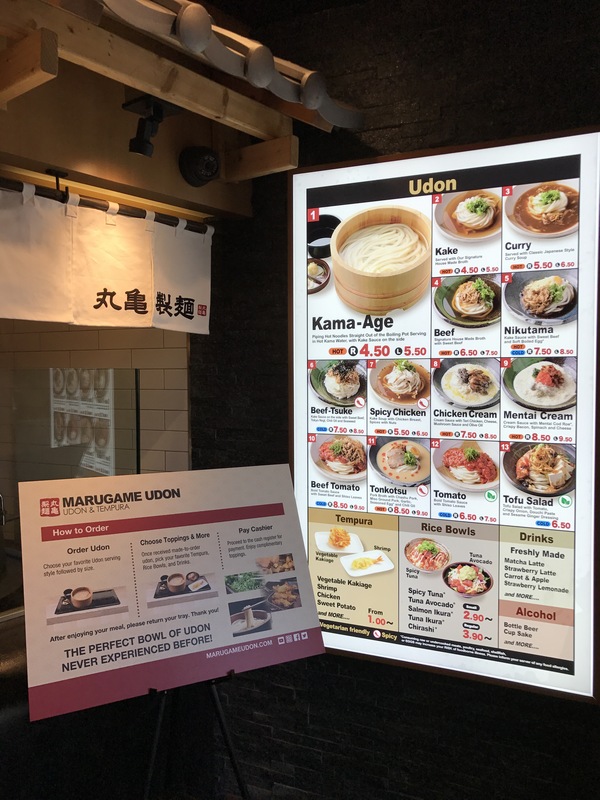 Marugame specializes in Sanuki-style udon; this udon’s birth place is from the Kagawa prefecture in Japan. Sanuki udon’s shape is square-ish with a slightly toothy chew that is undeniably addicting. It is the perfect shape to practice the noodle slurp, it’s a must when enjoying Japanese-style noodles. The menu is extensive with traditional to modern udon soups. Winter ordered the Nikutama, beef and soft-boiled egg udon; and I tried their Tonkutsu, a pork broth soup with chashu and ground pork miso udon. We watched our udon being prepared in their open kitchen, where you can watch the chef expertly boil the udon to perfection. The udon prices range $4.50 to $9.50. After we received our udon, we walked along a mouthwatering bell curve of fried delights from karaage (Japanese fried chicken) to tempura. They have everything out on display, and it is hard to just pick one. With the prices being less than $2/piece, it’s an amazingly delicious treat you can’t pass up. A final pièce de résistance is their rice bowl station. The size is just enough as a decadent treat along with your udon. Winter CANNOT resist with anything that has ikura (salmon roe), so we ordered two small salmon-ikura dons. Their drink station consisted of some fresh squeezed lemonade, fresh juice combinations, and a couple latte (milk, not coffee) based drinks. 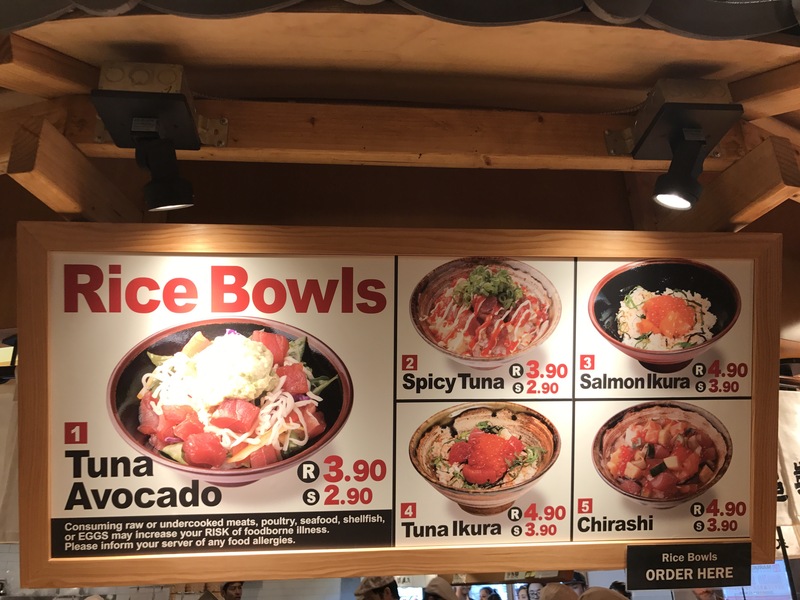 They, also, have a complimentary toppings center, where they have chopped green onions, tempura crumbs and other sauces for your rice bowls. Inside the restaurant there is ample seating: some booths along the walls, tables, a long center table that single purveyors can eat at without taking up a whole table just by themselves. Outside, they have a small patio with some tables and chairs if you would like to dine alfresco. The true test is in the taste of the food, and we were impressed. 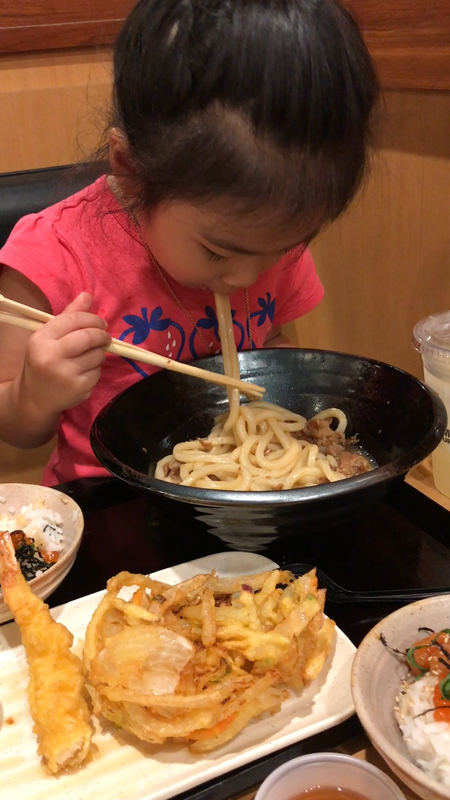 Winter has a love for udon that knows no bounds, so she has a very discerning palette for all things noodle. 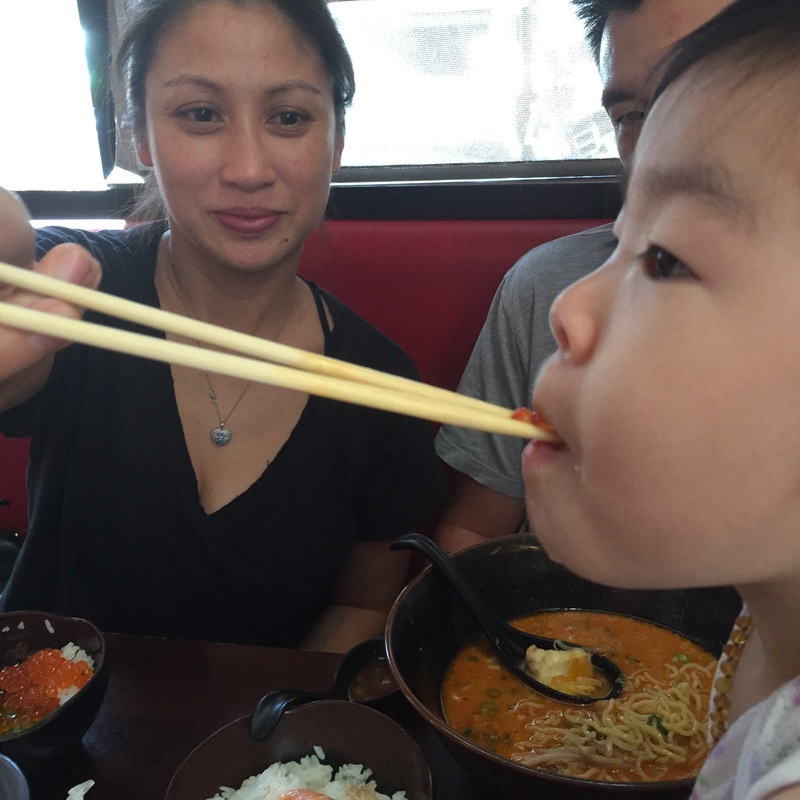 She learned how to use chopsticks for the sole purpose to eat noodles more efficiently and quickly. The udon passed Winter and August’s taste test, they slurped the noodles with such gusto. Winter has taught her brother well, and he has slowly been learning the subtleties of slurping. Even though he is only a year old, he has the technique down pat. I couldn’t be more proud. We were all stuffed to the brim after our fantastic feast. We bussed our own table and placed our nearly empty bowls to the dirty dish window, which marked the end of our dining experience at Marugame. We can’t recommend this place enough, it’s unlike any udon shop. The staff is very friendly and are eager to please. 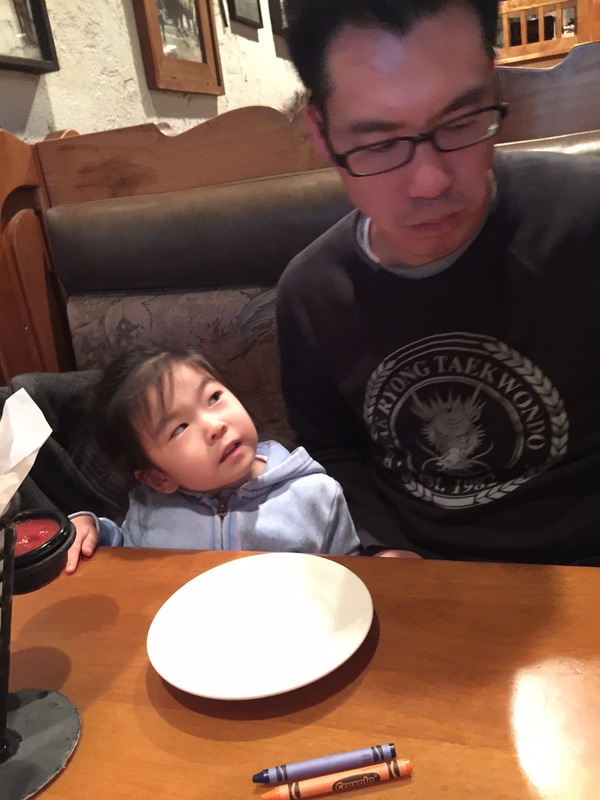 The restaurant is kid-friendly, which gives it a huge thumbs up for us. We will definitely be frequenting this place, we have found our udon home.